Online customer reviews and testimonials have tremendous influence over the purchasing decisions of other consumers. According to Pew Research Center, 82% of American adults say they at least sometimes read online customer ratings or reviews before first time purchases, including 40% who say they always or almost always do so. Leverage the power of customer testimonials. Sign up for Spectoos today. The facts are clear: The benefits of online customer reviews are a form of social proof in marketing that make your product stand apart from the rest. Now the question is, how do you get people to write customer reviews? Sure, you can get online customer testimonials by giving customers discounts, points, or freebies, but there are plenty of people (thousands, in fact) who write unsolicited reviews for magnanimous reasons. Let’s explore those motivations, and discuss how you can leverage them to generate more positive, high-quality reviews. If a consumer has a positive experience with a product, they will want to let others know about it in order to help them have the same enjoyable experience, as well. They may also feel that the company should be rewarded with a positive review for the excellent service they provided. 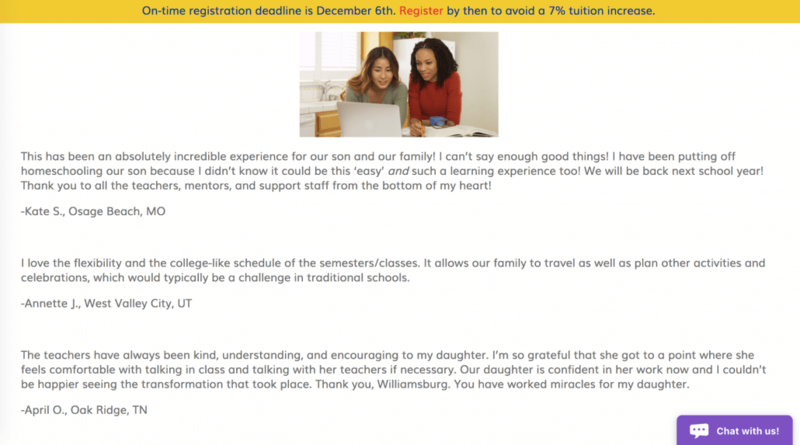 Sharing their experience, they can help other parents with their decision about which school to send their children to. Almost as heart-warming as the previous motivation, customers will leave testimonials because they’re pleased with the service they received and want to express their gratitude. If you’ve ever received amazing service (which I hope you have! ), you probably know what this feels like. Often, this gratitude will materialize as a hearty shout-out to the company in the form of positive customer reviews. Quality businesses want to give their customers the best products or services possible. If a customer points out a problem with the product or a way to improve the service, then this can help the company deliver even better products or services in the future. Most of the time, the criticisms made in these reviews are sandwiched between positive accolades for your product, but even the occasional negative review is beneficial. Gett, the mobile app that began as a taxi ordering service and has since expanded to other services, offers a great example of this. 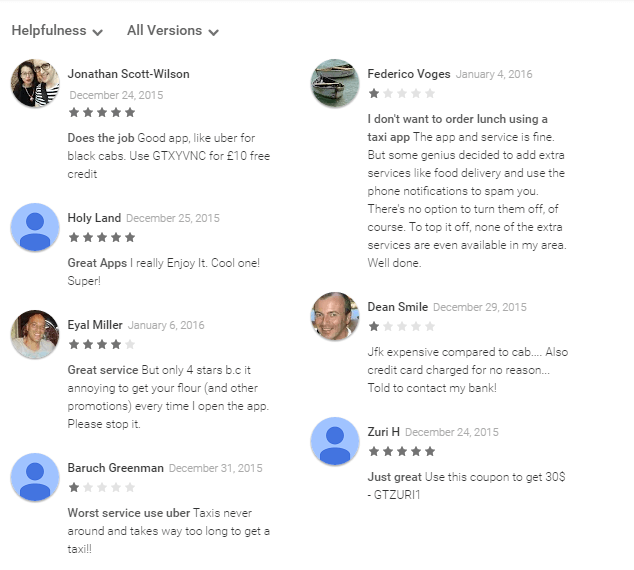 If you look at their reviews on Google Play, you will see many customers providing feedback that can help the company improve their service, UX and offering. Making the product more realistic. No product is flawless, and a lack of negative reviews looks suspicious. 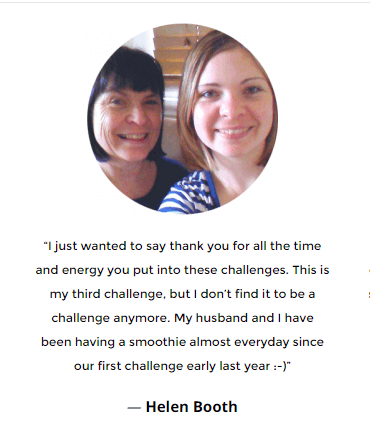 Showcase authentic customer testimonials on your website by signing up for Spectoos, today. Just about everyone has an opinion on one thing or another, and the majority of them want their opinions heard, paid attention to, and respected by the masses. It is highly likely that your customers have formed their opinions about your company and are eager to share their thoughts and experiences with others. What matters to those motivated by this desire is that people are listening to what they have to say (or reading what they have to write), so embrace their comments and engage with them to make them feel heard and appreciated. Hundreds of thousands of people come together in fan groups, pages, and listings to celebrate their favorite celebrities, works of art, gadgets, products, companies, etc., by leaving online reviews. Participating in this group activity leads to a sense of comradery and a strengthened feeling of belonging. Let’s say there is a product with a ton of reviews and most of them align with the opinion of one particular customer. 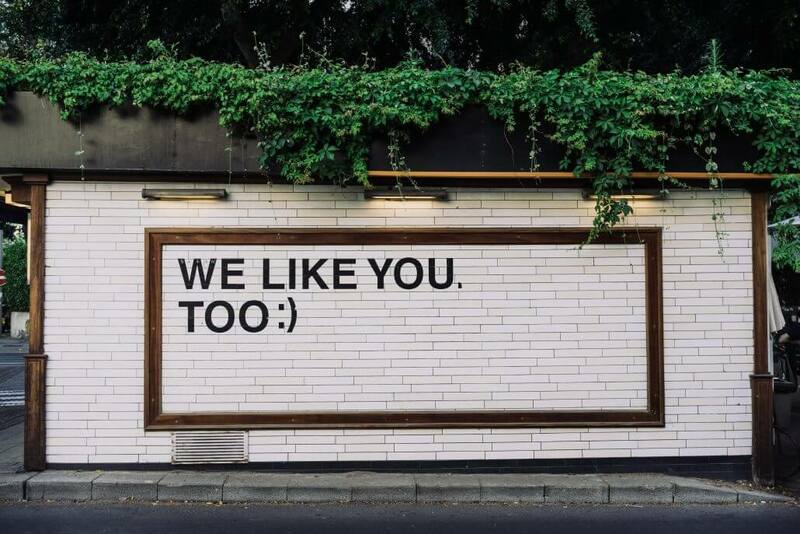 Social proof psychology claims that it is likely that this customer would feel validated and more comfortable sharing his/her feelings publicly, as well. 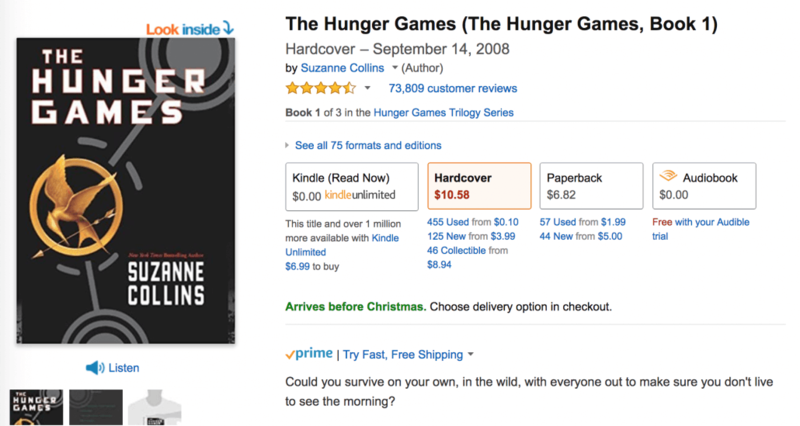 The Hunger Games by Suzanne Collins, for example, has over 73,000 reviews on a single listing on Amazon. Similar to point 4, everyone has an opinion on something, and some go as far as filming themselves to get it out there. Video customer testimonials have been increasing in popularity, especially since Youtube was established. Today, a simple search for the term “product review” on Youtube comes back with over 37 million results. And, this couldn’t be better news for you as a business owner. Research has shown that 65% of the average audience are visual learners and that website visitors are 64% more likely to purchase a product online after watching a video about it. So, take advantage of this trend and proudly display customer video testimonials on your website. For example, the University of Houston has a dedicated page on their website where they display video testimonials from their students. With these student video testimonials, prospective students can better understand the style of education that the University of Houston offers and are better informed to make a decision. What does all this mean for businesses? Providing great customer service. Give them something to rave about! Providing the actual product or service that you advertised. Nobody likes to be deceived or disappointed. Allowing people to upvote or downvote reviews, which will generate higher caliber reviews. Just asking! As we have showed, most people are happy to oblige. Just make it simple for them to write and share reviews. 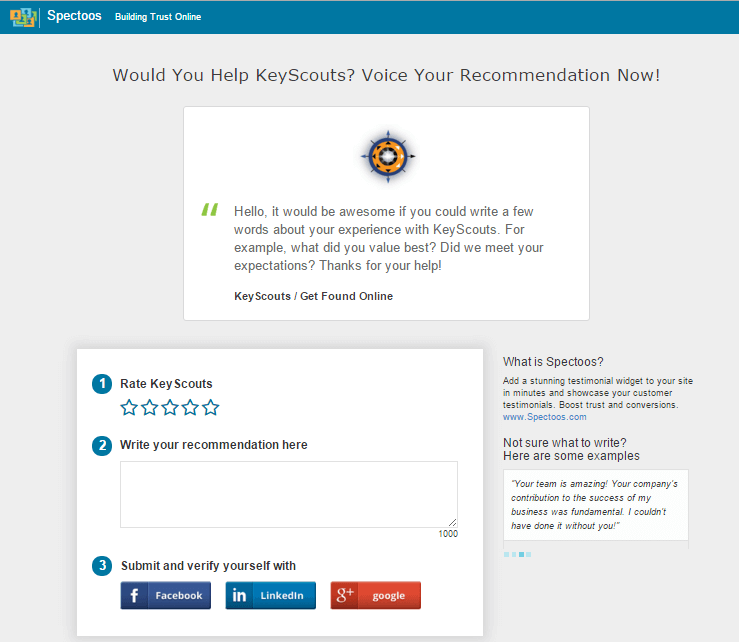 Using tools like Spectoos, you can set up emails to send to customers asking for testimonials and reviews. Customers just have to click on the link in the email, and they’re brought to the review screen. On your end, your dashboard is automatically updated so you can approve and publicize the customer review right away. For more information on how you can easily get testimonials from your customers, contact us today!